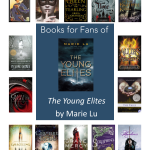 Last fall I wrote a post on great contemporary YA novels for book clubs, but realistic fiction set in today’s world doesn’t grab every reader, and in my opinion, the best book clubs seek variety in their reading choices. The following titles will appeal to longtime fantasy fans and might hook readers who shy away from fantasy in their normal reading. Some of these are new, some are old, some are more obvious choices, and others are easily overlooked. What they have in common is thought-provoking premises and compelling characters — just what you need for a good book club discussion. When I think of fantasy novels, I typically imagine a lush forest or vaguely medieval setting, but Vessel by Sarah Beth Durst takes place in a stark and harsh desert environment. This unique fantasy follows Liyana as she works with the Trickster god, Korbyn, to rescue five gods who have been kidnapped and prevented from joining their tribes, thus assuring the continued survival of their people. This is a novel about challenging what one has always been told and making room for a new paradigm or worldview. It’s about the nature of sacrifice and standing up for what one believes in. It’s about tradition and faith as much as about adaptation and instinct. The antagonist isn’t an evil villain, but rather a sympathetic character trying to do what is right. Fantastically written with amazing world-building, this novel will delight long-time fantasy fans but is still accessible to those less accustomed to the realm of fantasy. Graceling by Kristin Cashore (2009 Morris Award Nominee, 2009 Teens’ Top Ten) is the story of Katsa, a girl “graced” with killing, who teams up with another Graceling to rescue a king held hostage, discovering a secret that could destroy the seven kingdoms. Not only does this book provide a rich, inventive fantasy world, it delves into many issues worthy of discussion, ranging from feminist themes to a character’s disability. For all the praise it has received, it has also been controversial. Katsa is a divisive character — some readers love her, some find her prickly. The political intrigue in the novel also serves as fodder for conversation. If readers enjoyed Kristin Cashore’s series, they might want to check out Finnikin of the Rock by Melina Marchetta or Girl of Fire and Thorns by Rae Carson (2012 Morris YA Debut Award Nominee, 2012 Best Fiction for Young Adults). In my opinion, the most fruitful and fun book club discussion happen not when everyone loves the selection, but when people have varying opinions — even negative reactions. Skin Hunger by Kathleen Duey is a darker fantasy bordering on horror. In the past, Sadima is recruited to train in magic, though it has been outlawed, and in the future, where the use of magic is wielded by powerful wizards, two boys train for magic in a school where the only way to graduate is to survive. 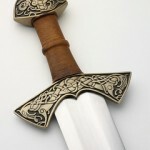 Though not a story that will appeal to all readers, its unique dual storylines will prompt discussion of the structure of the story, and its themes will prompt a conversation about when it is morally justified to harm a few for the perceived greater good. As fun as it is to read the new hot title, there are many older novels worth reading for book club. Though Terry Pratchett’s 2012 Printz honor book Dodger would be a great choice for a discussion, why not introduce readers to his Discworld series? The Wee Free Men by Terry Pratchett (2004 Best Books for Young Adults) is a humorous, magical journey about a girl trying to rescue her brother in a land of fairies and monsters. Readers who enjoyed this (especially the kind of readers who wished that J.K. Rowling’s adult book had been Harry Potter: The Adult Years) will be delighted to find that there are at present 40 books that take place in this world. Sabriel by Garth Nix (2003 Popular Paperbacks for Young Adults) was written before most of today’s teens were born, but its inventive magic and world where the lines between life and death are not so firm is a great pick for those readers of any age who discovered YA through Harry Potter and Twilight. If readers haven’t yet read Tamora Pierce, she’s an author not to miss — which is why she was recently honored with the Margaret A. Edwards Award. Alanna (2003 Popular Paperbacks for Young Adults), the first installment in the Song of the Lioness series, is a great introduction to her work. Alanna trades places with her twin brother in order to become a knight while he trains in magic in the first of her many adventures. It’s not just contemporary or realistic fiction that is worth discussion; the themes of fantasy fiction for young adults are still about learning how to navigate the world, and characters are often on a journey of self-discovery as well as epic adventures in magic. Fantasy is, of course, a means of escape, but that doesn’t mean it can’t be well-written or meaningful. 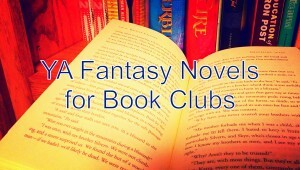 But if your book club doesn’t do fantasy, I’ll be sharing best book club picks in other genres in the future. 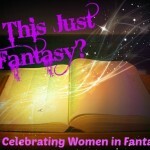 What YA fantasy titles have been hits with your book club or what is a book you are dying to discuss? 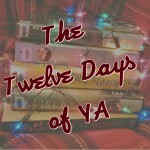 Previous Post Teen Reader Profile: Elizabeth Z. Next Post As a Lesbian, I Resent Your Laughter, and All Laughter: Why are YA Lesbian Novels So Serious?